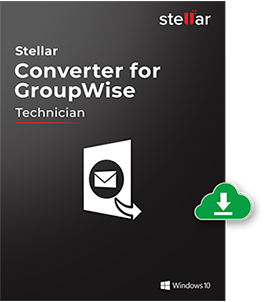 Stellar Converter for GroupWise is a comprehensive tool that facilitates safe email migration from GroupWise to MS Outlook. The software efficiently converts mailboxes on a GroupWise server to Outlook PST files. Mentioned below are the salient features of the tool. 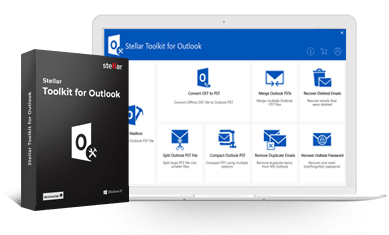 The software is adept at converting every single item inside your Novell GroupWise mailbox into 'PST' format and then saving the entire mailbox as a PST file that can be accessed via MS Outlook. You do not risk your data in the process, as the migration is carried out using dedicated and robust mechanisms. This convert GroupWise to PST tool supports simultaneous conversion of multiple GroupWise mailboxes, making it possible for the administrators to accomplish complete data migration from GroupWise to MS Outlook simultaneously and within no time. The software shows a list of all the converted items in your GroupWise mailboxes after scanning in the main interface. You can preview these items by selecting them from this list and check their contents for consistency before finally saving the output PST file to your system. This GroupWise to PST converter lets you generate the desired type of output according to the requirement at hand. You can convert any number of GroupWise mailboxes and save them to your system in three different formats, i.e. 'PST', 'EML', and 'MSG'. When you are performing single mailbox conversion, you get the benefit of appending the converted mailbox items to an existing PST. You may also choose to save the converted data to a new Outlook Data (.PST) file at a desired location in your system. The software creates log of the entire mailbox conversion process in the background. This log contains information about every task performed during the conversion and the details of the saved mailbox data. You can view the log anytime or save it to your system at a user-specified location. The main interface has been made self-descriptive for easy understanding and accessibility of all features of the software. Each navigation screen contains detailed, step-by-step instructions that guide you through the entire process of GroupWise to Outlook migration. Stellar Converter for GroupWise – Tech is capable of converting GroupWise mailbox data while connecting to Online, Remote, Cache and Archive mode. Along with PST, MSG, EML, this edition also saves converted files in RTF, PDF, HTML and Office 365 format directly. Que: What are key functionalities of different conversion modes? Online Mode: Online mode means your GroupWise client is directly connected to the server. It is basically an online mailbox where your all mails are available. In online mode the software fetches data directly from the connected server and converts it to PST format. Remote mode: In Remote mode, a backup copy of complete your network mail or a portion of the mailbox you specify, is stored on your local drive. With this type of connection mode you can check your mails in offline mode as well. When you use the software in Remote mode, it fetches the complete mailbox items from the offline backup copy and convert into PST format, even if you in offline mode. To do this, you just need to connect your system in remote mode. Cache Mode: Caching mode is also a type of backup and stores a copy of your mailbox on your local drive. As this copy is directly synchronized from the mailbox, therefore, all the updates you perform in the background reflect the backup. When you use the software in Cache mode, it fetches the data from the cache and converts to PST file, but the mailbox should be in online mode. Archive mode: When you archive an item from your online mailbox, it also removed from the inbox and saved into an archive folder. In Archive mode the software fetches data of the archived items, when you are connected to the network.